WE ARE BACK! After spending the last 8 years in Japan touring and putting out Japanese releases, we are happy to announce that we are back in AUSTRALIA. It was a massive move and we have to get settled before getting the label back up and running again. At the moment, we are looking for a location to move all our stuff from storage. We'll let you know as soon as we have a fixed address and when we'll be in operation. For the meantime, the webstore is still closed unfortunately. More to come!! I hope everyone is well. We have some news on the release front. We will be releasing the Japanese Edition of BLACK COBRA Invernal in Japan. We are stoked to secure the license from SOUTHERN LORD so look out for further announcements in the next few weeks. It'll be released as a DELUXE CD wihich will be part of the MATCHBOOK series of CDs that we have put out before with BLACK COBRA and KYLESA. It'll be a limited edition release due to the cost of production so make sure to get your hands on one of these when they come out of the oven. We got some samples in from SAM FORD who is responsible for canvassing the amazing artwork. Here is a preview of the record cover. 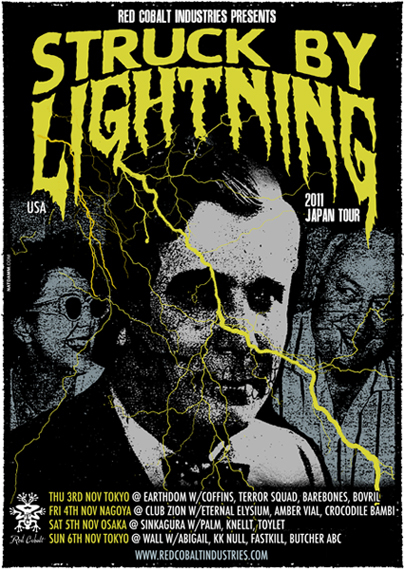 We just received the tour poster for The Struck By Lightning Japan Tour. The awesome artwork was created by the amazingly talented Nat Damm. He's a genius that man! The shows however, have not been cancelled as we have been fortunate enough to get the band STRUCK BY LIGHTNING (USA) to come on tour instead. If you haven't checked these guys out before, they are definitely a must. Vocalist Greg Lahm is ex-MOUTH OF THE ARCHITECT. Fresh off playing the SCION FESTIVAL with bands such as Cannibal Corpse, Shrinebuilder, Yob, Brutal Truth, DRI, Saviours, Black Tusk and Voivod, these warriors of the stage are ready to embark on a Japanese tour. 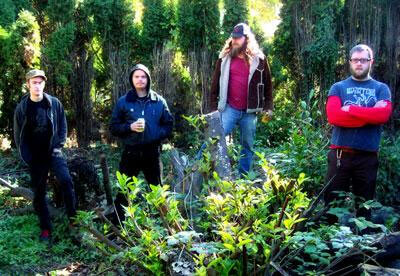 Think Entombed, Disfear, Mastodon, Big Business and you'll get the drift. We just received a little bit of bad news. Regrettably, Eternal Elysium will have to pull out of the show this Monday. As you may know, the aftermath of the earthquake in Japan has left petrol supplies low with a limit of 20 litres per vehicle. There are super long lines and very little fuel to get the band to Tokyo, so understandably, they've had to pull out. Apologies to all who where coming to the show to see Eternal Elysium. All Tokyo bands, i.e. Church of Misery, Coffins, Terror Squad and Barebones are ready to rock. In order to keep power use to the minimum, we are using minimal lighting and also using the PA system for the vocals only. The amps wont be using mics, so it'll be a more personal vibe to the show. Thanks to all for your understanding and hope to see you at the show. We are also pleased to announce that the BLACK TUSK release is hopefully able to see the light soon. We are just waiting for the artwork to be completed. 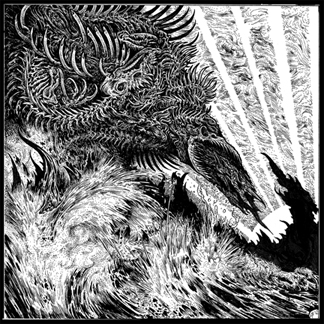 As always, we will pack this release with a load of artwork, courtesy of JOHN BAIZLEY (Baroness). Here are some shots of the AKIMBO release. We had a random mix of colours made for the vinyl with the bulk of the coming out in green marble and maroon marble. We also have dark grey and brown marble too. Everything came out super awesome! 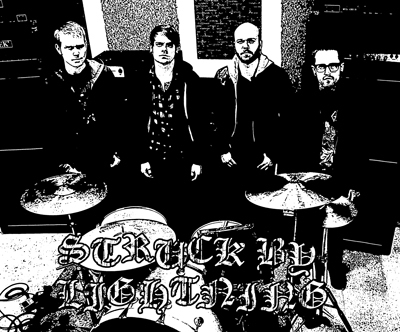 Many thanks to Nat Damm for the awesome artwork and layout.